February is upon us! That means its the month of celebrating all things love, right?! I know some people aren’t the biggest fans of Valentine’s Day, but I love how many people have started celebrating Galentine’s Day! Originally from the TV show, Parks and Rec, I love how this occasion has developed into a full-blown holiday for celebrating your best gal pals. I usually enjoy decorating for Valentine’s day and hosting something myself, but this year I’ve been traveling a lot for my day job, so I didn’t get a chance to throw anything this year. When my friend Jackie from Sprinkles & Confetti asked me to help her with a playdate for her kiddos and a Galentine’s gathering, I jumped at the chance! It gave me an excuse to do a few projects even though I couldn’t do the hosting myself. Jackie’s theme was Besties, Bites, and Bubbly and she wanted to create a festive table and a bubbly bar for the group to enjoy. I often start tablescapes with a runner, but I usually purchase them, or use wrapping paper to create one. This time, I wanted to try my hand at making my own! Spoiler alert: it was super fun! 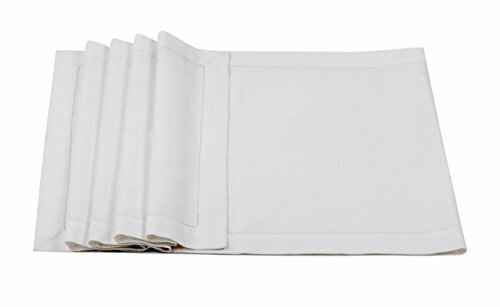 I ordered a plain white runner from Amazon at a very reasonable price. The one I ordered had a nice border detail as well. Before starting the project, I ironed it to get out the creases. If you live in a cold climate like me, you can’t exactly take anything outside to paint these days! To ensure I didn’t end up with any paint on my floors, I laid down an old sheet and placed the runner on top. 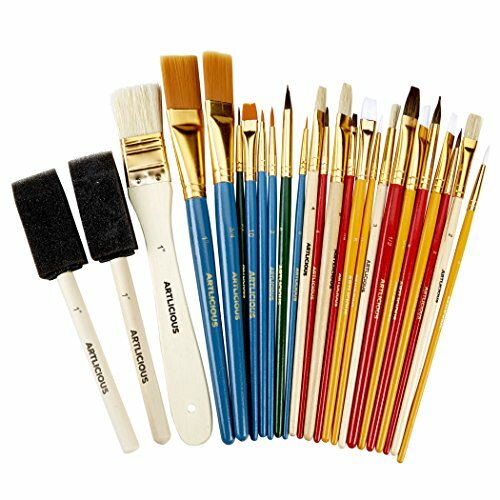 Select two paint brushes, keeping in mind the brush width. The thicker the brush you use, the thicker your letters will be. I decided on a medium-sized brush. I grabbed a value pack of brushes at my local Michaels, but you can also grab something similar on Amazon. 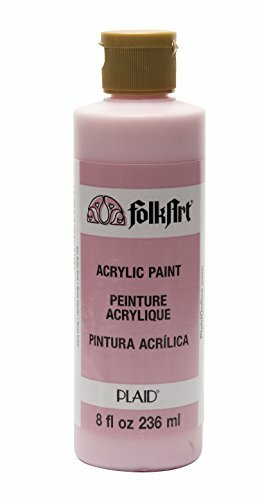 I also picked up the two pink paints at Michaels as well, but linked to some similar colors on Amazon below if you don’t have a craft store nearby. 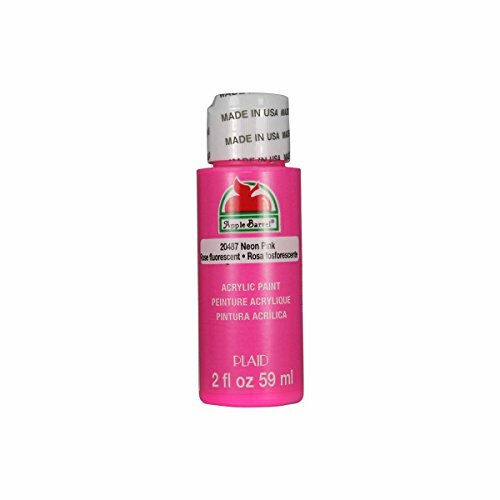 Start at one end with the first color pink and switch colors each row to achieve a similar look. I also alternated letter sizes to create a more varied look. I did a smaller set of letters followed by a large set of letters and then repeated that pattern down the runner. I found that starting with less paint and adding on more as needed was best. It helped create that brush stroke look and you can always add more paint, you can’t take it away! Doesn’t it look great on Jackie’s table?! Make sure to head to Sprinkles & Confetti to check out the full like of Galentine's party supplies. The best part is all of the goodies get shipped right to your door! Any Galentine’s Day celebration wouldn’t be complete without a drink! A bar cart or drink station is such an easy way to add some pizzazz to your gathering. Check out my Love Potion bar from last year’s Valentine festivities for more inspiration! Creating a backdrop is a simple way to change up the look of your bar area. Grab a fun wrapping paper that fits the vibe of your gathering and add some signage using Cricut vinyl. No, Cricut? A similar look can be achieve using stickers, printing out lettering on cardstock and gluing it onto the wrapping paper, or by tracing on letters and filling them in with a dark marker. Lately, I’ve had great luck finding durable wrapping paper in great patterns at Home Goods and Tuesday Morning. Hobby Lobby is always a good bet, too. Attach it to any wall safely using Command Strips or Painter’s Tape. Polish off your bar by adding adorable printables. These cute designs were made by Christina of Sunshine Tulip Design. She’s done some fun projects for me in the past as well, including a Fixer Upper themed set of designs and some vintage football designs for my husband’s fantasy football draft. Be sure to check out all of her amazing Valentine’s Day and Galentine’s Day designs in her shop! Cheers to Valentine’s Day and Galentine’s Day!